Help organizations working in Madagascar to protect lemurs and their habitat. Find an organization that fits your interests. 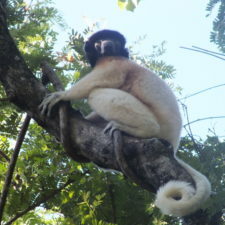 Narrow by type of lemur, type of conservation work, region of Madagascar, and more. Help research groups that study lemurs, their habitat, how lemurs are affected by climate change and habitat loss, and more. Browse research groups and learn how they are furthering our knowledge of Madagascar’s biodiversity so that we can better protect it. 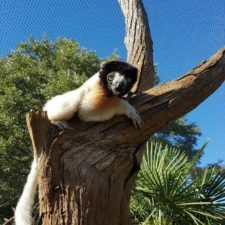 Help zoos throughout the world that support lemur conservation in Madagascar by raising awareness, breeding, and supporting research and conservation programs. Learn about the lemurs they house and the programs they support. Volunteer opportunities vary in length from two weeks to a full year, with volunteers working in education, conservation, reforestation, and more! Volunteers are needed for the Lemur Conservation Network itself, and for many of our member organizations. If you have skills in blogging, grantwriting, graphic design, social media, fundraising, or anything else, get in touch and let us know. We will find a good fit for you! Visit us on Facebook and Twitter and share our posts. 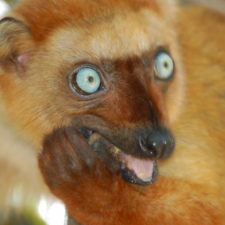 Tell your friends and family about Madagascar the importance of lemur conservation. Run a benefit race, organize a fundraising event, sell handmade items to benefit conservation, or donate your birthday to support lemur conservation! Gifts that support lemur conservation are the best gifts! Visit our shop page for links to online shops that support lemur conservation, where you can purchase chocolate, lemur-themed clothing, crafts, jewelry, books, and more. Tourism supports the local economy, and helps people recognize value in conservation. There is no wrong way to visit Madagascar: on a tour or on your own, for a week or three months, luxury or on-the-cheap. 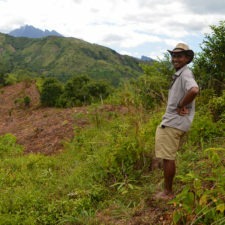 Madagascar is full of beautiful landscapes, friendly people, and wildlife you will see nowhere else!